Maritzburg United say they are considering legal action against coach Steve Komphela who allegedly joined Kaizer Chiefs without paying the required compensation to the Team of Choice. Komphela resigned as United's coach on June 12, and was announced as Kaizer Chiefs' new boss five days later. According to Maritzburg chairman Farouk Kadodia, after Komphela left he was meant to pay compensation as his contract expires next year June with the Team of Choice. But the matter has yet to be resolved. “There has been no finality on the issue yet and our legal team will decide what is the best way of sorting out this situation,” Kadodia said. “What we are getting from Komphela’s camp is that the reason why this matter has not been sorted out it’s because they are basically dependant on the new team [Kaizer Chiefs] to take care of the matter. But this is a matter between Maritzburg and Komphela, not his new team. He knew very well that he was supposed to take care of the compensation before, 1 July.” The Komphela versus Maritzburg issue adds more problems to Chiefs, who are also involved in a transfer tussle over Togolese striker Camaldine Abraw with Bloemfontein Celtic. Amakhosi unveiled Abraw as a new signing from Free State Stars earlier this month, but Celtic claim the player has penned a pre-contract with Phunya Sele Sele. The PSL's Dispute Resolution Chamber is scheduled to deal with the matter on Tuesday. Chippa United have parted ways with Mich D'Avray. The former Moroka Swallows coach served as the club Technical Director before being roped in as a coach after Ernst Middendorp was relieved of his duties at the club. The Chilli Boys have already recalled Roger Sikhakhane as the club head coach, and it has now been revealed that D'Avray will no longer stay on as Technical Director, along with former manager Peter Koutroulis who also left the club. Chippa, who finished just above the relegation zone in 14th place last season, face defending champions Kaizer Chiefs in their opening fixture of the 2015/16 campaign. Ugandan pair Yasser Mugerwa and Saidi Kyeyune are making their way to South Africa for trials with Orlando Pirates. The duo, who play for Uganda Revenue Authority, impressed Pirates' technical team during the clubs' CAF Confederation Cup duel earlier this year. Bucs edged the two-legged tie 4-3, with Mugerwa scoring in a 2-2 draw at Lugazi Stadium on April 4. URA general secretary Henry Mayeku confirms that the players – who are both 21-year-old midfielders – have been invited for trials. “Yes it’s true, they have been invited for trials by Orlando Pirates. They are still waiting for their visas and I believe they should be arriving in South Africa this coming Friday,” Mayeku said. 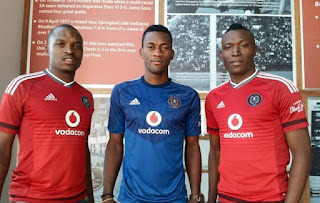 Pirates currently have five foreigners on their books in the form of Issa Sarr, Tendai Ndoro, Felipe Ovono, Helder Pelembe and Mwape Musonda, although at least one of the latter two are likely to leave the club. University of Pretoria are yet to make a decision whether to sign Katlego Mphela as he continues to train with the team. ‘Killer’, who has scored 81 goals in 160 PSL starts for SuperSport United, Mamelodi Sundowns and Kaizer Chiefs since 2005/06, plus 62 substitute appearances, has been training with AmaTuks and his agent Glyn Binkin has given an update. “He’s been training and nothing has happened yet. Maybe in the next few days,” Binkin said. Mphela was released by Chiefs recently and the chairman of the club Kaizer Motaung revealed that the 30-year-old was let go after he was “called into a disciplinary hearing for failing to attend a number of important events”. • Reporting a projected income surplus of R28.5 million for the year ending 2015. • The introduction of the vanishing spray within the local league matches. Kaizer Chiefs have confirmed Chris Matombo and Zitha Macheke have signed one-year loan deals with Chippa United. Matombo was previously thought to be on his way to Bloemfontein Celtic. However, Matombo's prospective move to Celtic was apparently derailed by the transfer tussle involving Togolese striker Camaldine Abraw. Maritzburg United are keen to sign AmaZulu midfielder Goodman Dlamini, according to the player's agent Jazzman Mahlakgane. Dlamini has been a key performer for NFD-bound Usuthu in recent seasons, scoring six goals in 27 starts this past campaign. "Yes, we are talking to them [Maritzburg]," Mahlakgane said. Mahlakgane also dismissed talk AmaZulu are asking R3million for the KwaNongoma-born attacker. "It is not true. I think that was a rumour. What I can tell you now is that Maritzburg United want the player and that (R3m) is not true. What I'm telling you is the real story, and we are talking." Dlamini was named his club's Player of the Season in 2013/14. SuperSport United have offered Bennett Chenene and George Chigova to Polokwane City as part of a swap deal involving striker Puleng Tlolane. Chenene and Chigova have both fallen out of favour at United, with the former spending the second half of last season on loan at neighbouring University of Pretoria. Zimbabwean goalkeeper Chigova has had to play second fiddle to Matsatsantsa number one Ronwen Williams in Tshwane. Tlolane netted 11 league goals for City in 2014/15, three less than Golden Boot winner Moeketsi Sekola. Polokwane City striker Roggert Nyundu says he has no desire to return to the club where he is paid R5 000 monthly and is hoping to find a new employer. Nyundu – who was loaned to Black Leopards last season and scored 18 goals in 17 games for Lidoda Duvha in all competitions – raised his profile with a winning goal against Kaizer Chiefs in last season’s Nedbank Cup. 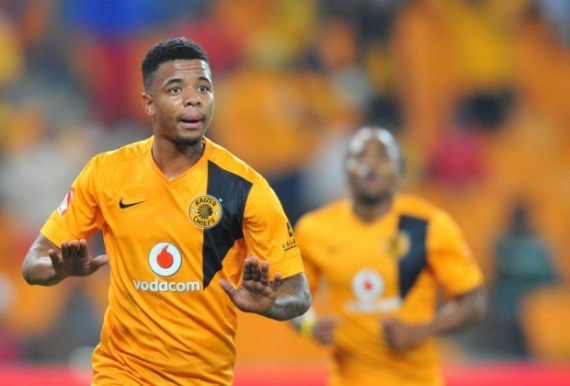 The 27-year-old revealed to the Sowetan that he is one of the lowest paid PSL players. “They [Polokwane City] did not respect me as a player and I don’t want to go there on July 1 [when they open for pre-season]. I used to live at the clubhouse [in Soetdoring], on the outskirts of Polokwane and it is like a camp for the under-12s,” he says. “It is far from town and difficult to go there if you don’t have a car … I pray that God makes the chairman of City let me go so I can find a club that will allow me to provide for my family.” Polokwane City chairman Johnny Mogaladi says he won’t discuss his players’ salaries.“I’m not here to discuss a player’s contract on the phone. I won’t discuss how much he is getting or how much other players are getting paid,” he told the newspaper. In the past, a proposal by the South African Football Players’ Union required that players in the PSL should earn at least R15 000 a month. Veteran striker Siyabonga Nomvete could be joining Jomo Cosmos in the near future. The 37-year-old also has also had other options according to agent Mike Makaab. “We are busy talking [to Cosmos], but there are other clubs that are interested,” he says. “Thank God Nomvete is not a rookie anymore so he understands that all the ingredients must be in the contract before he signs. He is not a baby anymore.” Makaab, who has been Nomvete’s business manager for more than 15 years, further explains why the former Bafana Bafana striker is still going strong at his age. “I wish all the youngsters can take a leaf out of his book. A lot of people forget that he played for three years in Italy, won a league medal in Sweden, won a league medal in Denmark and played for the big two in this country [Kaizer Chiefs and Orlando Pirates]. “If you ask me who is the real role model, it is Nomvete. We all know the late 'Shoes' Moshoeu, how great he was and look at Buffon [the Italian goalkeeper]. If you respect the talent that God has given you, you can play for a long time. It is down to having the right attitude and Nomvete has that,” Makaab concluded. Royal Eagles have confirmed they are leaving Durban and will be based in Pietermaritzburg next season. The ambitious NFD side has yet to decide where they will play their home games. "As we speak, I'm busy finalising the deal and I can confirm to you that the club is relocating to Pietermaritzburg and we have our village there," Eagles manager Richard Makhoba said. "It is ready and the team will be based in PMB. That said, it is not about creating a new fan base. We have a village built there and it has all the facilities for training and our players will be housed there. Regarding match venues for games next season, we are still going to announce that and I don't want to put the cart before the horse. We will announce where we will play our matches but the fact is, the team will be in PMB." Makhoba adds: "We will still be taking our supporters here at home and wherever with the trains and buses, as we were doing last season." Siyabonga Ngubane has completed his move to Mpumalanga Black Aces after a proposed switch to Orlando Pirates fell through. Pirates were poised to sign the midfielder but pulled the plug on proceedings at the eleventh hour. Ngubane joins AmaZayoni as a free agent after seeing out his contract at University of Pretoria. The 26-year-old made 20 starts in the Absa Premiership in 2014/15. 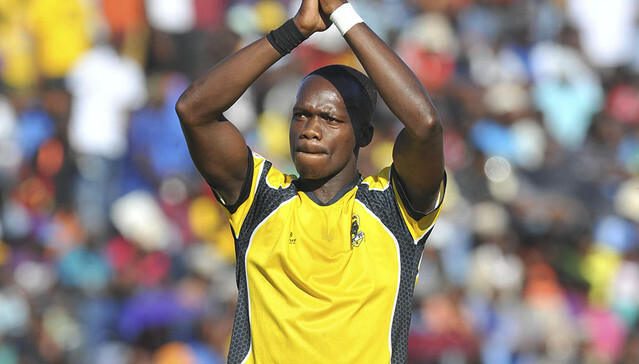 Ngubane joined Tuks in July 2013 following a loan spell – along with Buhle Mkhwanazi – as part of the swap deal that saw Bongani Zungu go to Mamelodi Sundowns. Bidvest Wits have handed a trial to midfielder Keaghan Jacobs. The 25-year-old has been plying his trade at Scottish second-tier outfit Livingston since 2007. "He [Jacobs] is here with some other new faces training with us," Wits CEO Jose Ferreira tells this website. Jacobs was born in Johannesburg but is eligible to play for Scotland through residency eligibility rules. Experienced playmaker Lerato Chabangu is training with Bidvest Wits in the hope of earning a contract, while Dillon Sheppard is set to extend his stay with the club. Chabangu, whose deal at NFD-bound Moroka Swallows expires on June 30, has been linked with a move to Wits since last season. The Bafana Bafana international had been a key performer for the Dube Birds since reviving his career in Soweto under Gordon Igesund in 2011. Camaldine Abraw faces a possible six-month ban from football if it is found he signed contracts with two different clubs, according to Mark Gleeson. The PSL’s Dispute Resolution Chamber is set to deal with a dispute between Bloemfontein Celtic and Kaizer Chiefs on Tuesday over the signing of the Togo international striker. 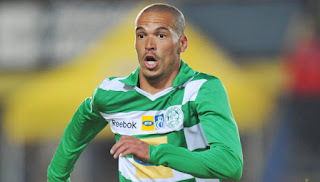 Celtic claim the player signed with them on a pre-contract before Free State Stars sold him to Chiefs, and that he was entitled to do so as he was in the last six months of his contract. However, Stars exercised an option they had on his contract and sold him to Chiefs. When papers were signed, when options were exercised and who made contact with whom should all be made clear at the hearing next week. PSL rules state that ‘no player may place himself in a position where he is contracted to two clubs simultaneously’, and if he does so must be charged with misconduct, reports Gleeson. The rules also state that the contract lodged with the PSL first will be accepted unless compelling evidence is led which causes the DRC to come to a different conclusion. Chiefs have in the past lost transfer disputes involving Dumisa Ngobe, Lesley Manyathela, Papi Zothwane and Siphelele Mthembu. Orlando Pirates have decided to take their CAF Confederation Cup Group B game with Egyptian giants Zamalek to Mbombela Stadium on July 11. Pirates, who face AC Leopards tomorrow in Dolisie, Congo-Brazzaville, have changed venues due to maintenance at Orlando Stadium. "Our game against Zamalek is at the Mbombela Stadium due to the maintenance of the pitch at the Orlando Stadium," Bucs administrator Floyd Mbele said. "However, I believe Orlando Stadium will be ready for use before our first league game next season." 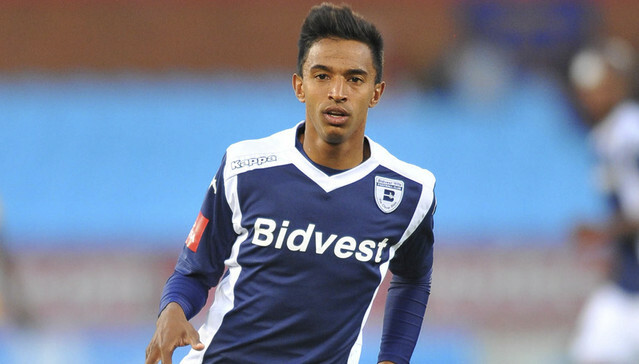 Ajax Cape Town newcomer Ruzaigh Gamildien says the club plays his "kind of football". 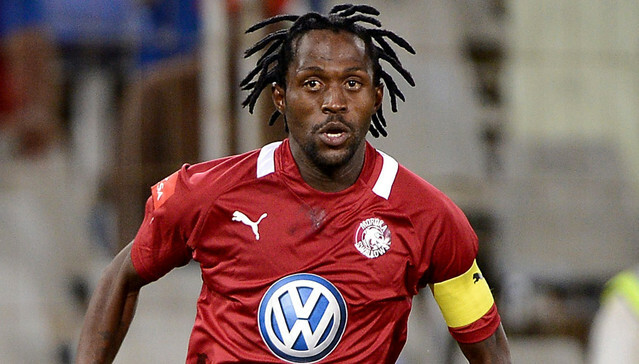 The former Bafana Bafana and Bloemfontein Celtic midfielder ended last season at NFD side Milano after being offloaded by AmaZulu for ill-discipline in October. Ajax snapped up Gamildien on a pre-contract in April. “It’s been tough, we’ve been training hard this week," Gamildien told the Urban Warriors' website. “It’s taking me a while to adapt to this kind of professional environment again. Things are looking good though, Ajax play my kind of football, so I am happy to be here. I know most of the players who are here and they have accepted me into the group, so that’s also good. It’s also especially nice to be close to my friends and family. When you go through a difficult patch in life, your friends and family are always there to help you through things,” concluded the 26-year-old Capetonian. Coach Roger Sikhakhane said that he had a lengthy talk with Chippa United's management before deciding to return to the club for the umpteenth time. Sikhakhane - who ended last season with Thanda Royal Zulu after being sacked by the Chilli Boys in January - is back with the PSL outfit. "There is nothing special, there is no surprises," Sikhakhane said. "We had a long conversation before deciding to accept the offer as you know what happened before. I am happy again to back with Chippa and coaching in the PSL again." New Kaizer Chiefs signing Siyanda Xulu was once on the brink of joining Barcelona, while he was also on the radar of Real Madrid and Atletico Madrid, according to the defender's agent Paul Mitchell. 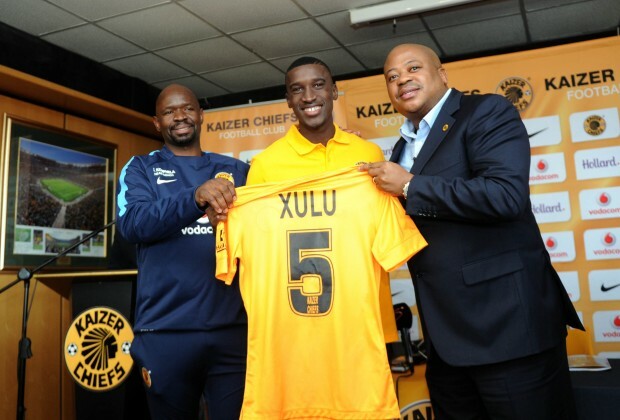 Chiefs unveiled Xulu as their player on Tuesday after the defender penned a five-year contract with the Soweto giants. The 23-year-old was previously on the books of FC Rostov, having joined the Russian side from Mamelodi Sundowns in 2012. "Siyanda was the first player I signed in South Africa after bringing Matthew Booth back from Russia and bringing Jorge Acuña from Holland to [Mamelodi] Sundowns. I signed 'Siya' when he was just 17 years old," Mitchell recalls. "We have walked a long road together, we went to Barcelona and had a very disappointing time there because it was a done deal but it fell through at the last minute. People thought he [Xulu] only landed in Barcelona because of [Ex-Downs coach and Barca legend, Hristo] Stoitchkov but he had nothing to with it. It was all our work and at that time Xulu was in the top young 50 players in the world. Real Madrid came at the same time while we were at Barcelona but that was a rollerc oaster and it never happened. Atletico Madrid put an offer to Sundowns but it was rejected and we we eventually ended up in Russia and it wasn't easy because negations were long and we did the deal on the last day of the window." Meanwhile, Mitchell says Xulu reminded him of a young Rio Ferdinand when he first saw the Bafana Bafana international in action. In terms of quality, the first time I saw Siyanda [play] I was so excited. He reminded me of Rio Ferdinand," he says. I watched Rio at a young age when he was at West Ham and Siyanda reminds me of him the way he carries the ball out. He [Xulu] can pass and he learned a lot under Ted Dumitru and Trott Moloto, that's why I'll always be grateful to Mamelodi Sundowns for the opportunity they gave him but at the end of the day Hristo Stoitchkov and Antonio López Habas gave him a chance and he took it with both hands." Polokwane City have cut ties with exciting midfielder Ayanda Lubelo while experienced campaigner Benson Mhlongo’s future at the club is in doubt. Lubelo arrived at the club last season but was only used in the club’s MultiChoice Diski Challenge team. The 22-year-old, who has previously been with University of Pretoria and Bidvest Wits, has left the club’s base in Limpopo. Experienced campaigner Mhlongo reported for duty earlier this week but is no longer training with Rise and Shine. The 34-year-old, who has a year left on his contract, is unlikely to be in Kosta Papic’s plans after the coach confirmed he is looking for defensive reinforcements to strengthen his squad. Papic has just returned from holiday and is expected to make decisions on players by next week. Veteran defender Joseph Musonda has also not been training with the rest of the squad despite reporting back to duty earlier this week. Musonda is amongst the players whose contracts are coming up at the end of the month who have been informed by the club not to train with the team. Meanwhile, some good news is that defender Tlou Molekwane has returned to training following a long injury layoff. Orlando Pirates have confirmed five of their new signings, including Filipe Ovono, Tendai Ndoro and Gift Motupa. Ovono, who is from Equatorial Guinea, also clarifies that he in fact signed with the team months ago. Ndoro arrives from Mpumalanga Black Aces, while Motupa signed a while ago from Baroka FC. Pirates have also signed Thembinkosi Lorch (Maluti FET) and Luvuyo Memela (Cape Town All Stars). Tickets for the 2015 Bokone Bophirima Maize Triangle Challenge have gone on sale with fans now able to book their seats for the pre-season spectacular to be staged at the Moruleng Stadium on Saturday, July 11. Known as the Maize Cup, the one-day event provides a feast of football in the format of the old Charity Cup and like that former favourite on the South African soccer calendar, will also be contributing to charitable causes from the proceeds raised on the day. Host side Platinum Stars entertain Botswana Premier League giants Township Rollers in the first semi-final at 10h00, before Bloemfontein Celtic clash with Mpumalanga Black Aces in the second semi at 12h00. The winners of those two matches will then contest the final of the competition at the same venue at 17h00 for the honour of being the first recipients of the Maize Cup trophy. All proceeds on the day will go to charitable causes, which will be announced by organisers in due course. Mamelodi Sundowns midfielder Lindokuhle Mbatha is set to join either Platinum Stars or Mpumalanga Black Aces for next season. Mbatha has been struggling for game-time at Sundowns and according to a source close to the player, he has already requested permission to play elsewhere next season, at least on loan. The 29-year-old looked impressive at Platinum Stars during the 2013/14 season before he made the move to Sundowns, where his career has slowed down. He was also not registered for Sundowns’ 2015 CAF Champions League squad, a further indication of where he is in the pecking order at Chloorkop. SuperSport United coach Gordon Igesund says he is looking to shore up his defensive unit ahead of the start of the 2015/16 campaign. The former Bafana Bafana coach led the Pretoria side to a sixth place finish in the League last season, yet shipped 40 goals in the process – something which their manager wishes to improve upon. “I want to strengthen up defensively – not that I am unhappy with my defence, but I do want to strengthen as we conceded a lot of goals last season, and I want to make sure that does not happen again,” Igesund said “We have a very offensive team, and I want to tighten up the back a little bit.” The Matsatsantsa tactician is hoping to build a competitive squad that will fight for positions on a regular basis. “I want to have a competitive team where the players are fighting against each other for a place in the team. I don’t want to have any automatic choices – I’ll have a squad of about 26 players or so, and I want each and every one of them to be able to play in the team on a regular basis and fight for positions, and keep each other on their toes. I think this will add to the good environment of the team and good work ethic amongst the players – this is what I demand from my players.” SuperSport, who returned for preseason training this week, get their 2015/16 league campaign underway against Soweto giants Orlando Pirates. Ajax Cape Town have paid tribute to their former defender Nazeer Allie, labelling the 30-year-old "one of their best ever players". Allie this week joined Bidvest Wits, having spent his entire professional career at Ajax since breaking into the senior team during the 2004-05 season. Kaizer Chiefs have been drawn against Mbabane Swallows in the first semi-final of the King’s Cup tournament set to be held in Swaziland on July 18. The other semi-final has set up a battle between Orlando Pirates and Royal Leopards, who booted Bidvest Wits out of the CAF Confederation Cup earlier this year. The draw for the inaugural pre-season tournament was held at the Royal Convention Centre in Mbabane. Chiefs’ first match is set to kick off at 09h00 on July 18 while Pirates’ game is billed for 11h00. The final is set to kick off at 15h00 and it could be the first ‘Soweto’ Derby of the season should both South African teams win their matches, with the Carling Black Label Cup a guaranteed fixture on August 1 at FNB Stadium. Former SuperSport United and Ajax Cape Town winger Sameehg Doutie has signed for Indian Super League side Atletico de Kolkata. Doutie spent the past season on loan at Bidvest Wits from SuperSport, who have opted not to extend his contract, and he has now signed for Atletico Madrid’s franchise in the money-rich Indian League. The 26-year-old will also get the opportunity to play in Europe as upon the end of his four-month stint in the ISL from September to December this year, the Spanish La Liga club will place him in a team in Europe. The ex-Orlando Pirates man has been close to a move to Europe in the past but for various reasons a move didn’t materialise, and he will now get his chance. Doutie will know at least one familiar face at Kolkata, who are coached by former Mamelodi Sundowns coach Antonio Lopez Habas. 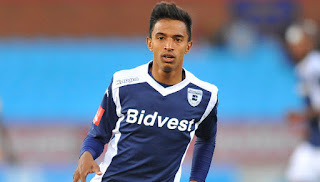 Ex-Wits midfielder Ofentse Nato played also played for them during the 2014 ISL season. Other former PSL players who have played in the relatively new Indian Super League are Fikru Tefera Lemessa and Isaac Chansa. Goalkeeper coach Arthur Bartman has left Golden Arrows after the club decided against renewing his contract, which expires at the end of this month. The former Kaizer Chiefs glove man is third person to leave Abafana Bes'Thende in the space of two weeks following promotion-winning head coach Shaun Bartlett and long-term servant Bheka Phakathi. Bartman says his contract was not renewed and he holds no grudges against the club as he was part of the technical staff that helped Arrows get back into the PSL.“My contract was coming to an end and I was never approached after that,” Bartman said. “It is part of football and I did what I was supposed to do. We had the best defensive record and most clean sheets [in the NFD] and I did my job. Having said that, whatever decision they came up with, I was not informed.” The club recently appointed Serame Letsoaka as their new head coach to replace Bartlett. Rumour has it former Mamelodi Sundowns goalkeeper John Tlale is being lined up for the assistant coach job. Kaitano Tembo is set for the SuperSport United assistant coach job. Igesund is on the lookout for a new number two after Serame Letsoaka took up the head coach job at newly-promoted Golden Arrows. Tembo is currently working with SuperSport’s Youth Development academy. The increasing popularity of the Carling League of Champions has attracted legends of the game such as Mlungisi ‘Professor’ Ngubane, who has applauded Carling Black Label for its unique initiative. The 2015 Carling League of Champions continued this past weekend as the Moses Mabhida Stadium outer fields and Ikageng Stadium hosted the third and fourth round of the tournament. The fourth edition of the Carling Black Label-sponsored tournament kept fans in awe with some nail-biting football that was accompanied by goals. With Carling Black Label increasing the stakes this year – R30 000 prize money plus an exclusive trip to the highly anticipated Carling Black Label Cup – teams put up a good display of football for the fans that came out in their numbers to rally behind their teams. “What Carling Black Label is doing is quite an exciting yet important initiative of going into our communities and providing an unforgettable football experience for players. It is through such tournaments that our communities can be exposed to professional football and be diverted from all social ills while at the same time affording them an opportunity to be seen by scouts” said Ngubane. New Kaizer Chiefs recruit Siyanda Xulu has explained why he chose the Soweto giants over former club Mamelodi Sundowns. Xulu left the Brazilians for Russian side FC Rostov in 2012, and speculation was rife that we would return to his former employers, but it seems they never made an offer. "Only Chiefs showed good interest and no other teams,” Xulu explains. “That's why I decided to sign for them.” When pressed further on his decision to snub The Brazilians, Xulu added: "I think it won't be good for me to speak about Sundowns, I'm a Chiefs player now." The 23-year-old defender says racist remarks made last year by his former coach at Rostov, Igor Gamula, were not the primary reason why he ended his three-year stay in Europe. "All I wanted was to come home and play because my intension was not to be in Russia for too long. My three-year experience was priceless; I won the Russian Cup and played many games until I mentioned [to Rostov management] that I wanted to leave the club, that's where it started to be a problem and that's why I didn't play [anymore]. The racial issue wasn't a problem for me as I've mentioned before. The only problem I had was that I didn't want to stay there [in Russia] for long and I had injuries which were a setback for me but then I decided to come back home. Xulu has four Bafana Bafana caps to his name and says his desire to get back into the national set-up also influenced his decision to return to the PSL. "I want to get back into the Bafana team. [But] I don't think putting myself under pressure to be selected for Bafana will be good for me. I just want to get myself back into South African football and after that I can focus on Bafana." Lebohang Manyama is closing in on a move to Mpumalanga Black Aces. A source has revealed that a deal for the former Ajax Cape Town man to join Aces is nearing completion after the two clubs agreed on a transfer fee. Manyama previously worked with new Aces coach Muhsin Ertugral at Ajax. Newly-promoted Absa Premiership club Golden Arrows have announced Abel Makhubele as their new assistant coach. “Lamontville Golden Arrows are pleased to announce the appointment of Abel Makhubele as assistant coach,” read a statement released by the club. Makhubele will assist Serame Letsoaka, who replaced former coach Shaun Bartlett at the Kwa Zulu-Natal-based side. Makhubele comes with vast experience in the local game, having held the position as development coach for the Limpopo Province for nine years following his appointment in 2001. Makhuele served as assistant coach at Black leopards in the 2012/13 season, before taking on the caretaker role in charge of Lidoda Duhva. He also coached the U-19 Limpopo team which claimed Metro Cup honours in 2009.